Teenagers are funny. I bought what I thought was a cool sweater for my 15 year old daughter. It was argyle with blues and grays. She gave me a disgusted look when I showed it to her, tried it on and then texted me “It fits weird and makes me look elderly”. WTF? It was totally something that I would wear! 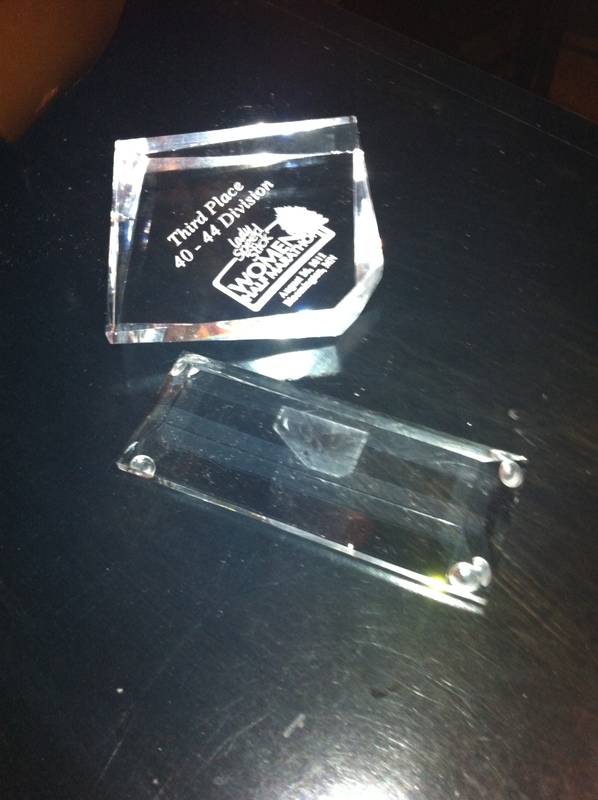 I thought for sure I must be missing something when my broken award for 3rd place female 40 – 44 at the Women’s HM arrived. 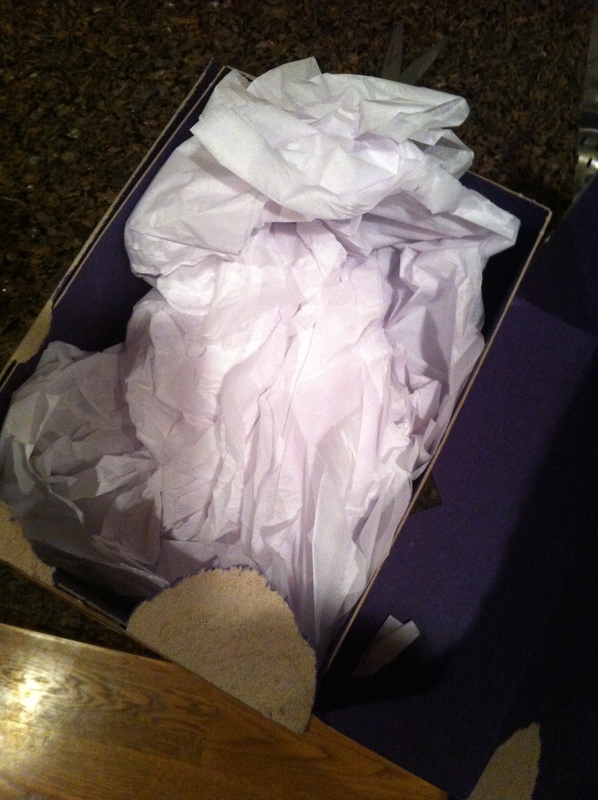 So I searched and searched in the tissue paper, hoping to find a Target gift card or something useful, but to no avail.